One Charles is a hot new Boston luxury full service building. 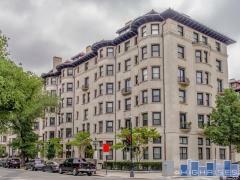 One Charles is in a premiere Back Bay location, just steps from the Public Garden, Newbury Street & Beacon Hill. Enjoy the ultimate in city living with concierge, doorman, common fitness center, and library. One Charles condos feature luxury finish-out, garage parking and sweeping views of Boston. Have any comments or questions about One Charles? Ask your question and/or share your thoughts about this Building. I passed by the building today and I would like to take a tour anytime soon for 1 bedroom apartment.